Student Absenteeism and School Climate: Why Are Students ‘Fading-Out’ of High School? Climate change is becoming the biggest public policy issue — closer to home and in our junior and senior high schools. A recent CBC News Nova Scotia series, Making the Grade which aired in February 2016, not only looked at the plight of classroom teachers, but ripped the lid off of growing teacher concerns about, and frustration over, the deterioration in academic tone and school climate. 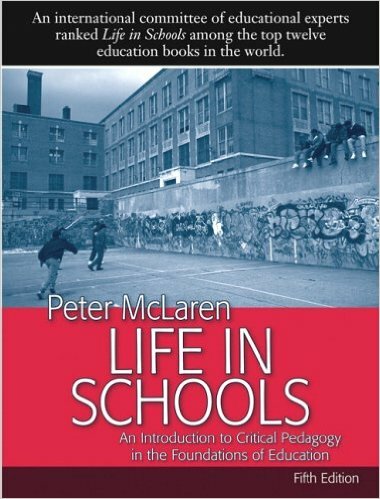 It also exposed the leading symptom of the malaise – chronic student absenteeism and “school refusal behaviour” in our high schools. One Nova Scotia teacher, Christine Emberley of the Bedford Education Centre, finally broke the silence. Teachers have lost the ability to enforce deadlines while they are being told by school authorities to “teach real-world skills,” Ms. Emberley told CBC News, and that’s a big contradiction. Professional teachers and parent who recognize deadline importance, she explained, are up against educators who insist, quite wrongly, that “consequences of any kind equals punishment.” School should be the safe pace to make mistakes — like missing deadlines or skipping classes –and experience consequences. While high school graduation rates are climbing, particularly in Ontario and the Maritimes, one out of four students is still not completing secondary school on time. Entering high school, these struggling students lapse into chronic absenteeism and ‘school refusal behaviour’ that tends to mask their disengagement and alienation. “we don’t call them dropouts anymore,” Willms noted, “we call them ‘fade-outs’ or ‘push-outs.’ ” In their final school years, few if any fail, but they do ‘check-out’ and are screened-out through course selections and post-secondary admissions selection processes. School absenteeism is a prevalent problem for today’s schools with tremendous long-term social, economic and human costs. While American school data shows that elementary school absenteeism has remained virtually unchanged since 1994, high school attendance rates have significantly deteriorated. A 2003 American study, based upon 230 youths in 4 high schools and 1 middle school found that many students “sometimes” (29.1%) or “often” (9.1%) deliberately or completely miss school. In addition, 54.6% of students sometimes skipped classes and 13.1% often did so. Skipping school or refusing to attend for days on end is now being described in some U.S. states as a massive but overlooked “absenteeism epidemic.” In 2012, the estimated national rate of chronic absenteeism was pinpointed at 10 per cent, representing the percentage missing 21 or more days of school each year. In February 2014, a feature story produced by Betsy Hammond for The Oregonian and aptly entitled “Empty Desks” revealed that one in five Orgeon students missed at least 10 per cent of the school year, equivalent to 3.5 weeks of school or more. One Canadian province that has clearly identified student attendance as a serious problem is Nova Scotia. Five years ago, an NS Education Advisory Commission report, produced by Howard Windsor, Halifax’s former “one-man school board,” recommended extending compulsory school attendance to age 18/Grade 12 and a series of “staged interventions” for chronic “skippers” and truants. Along with those measures, the committee proposed a range of inducements to keep students in school. In extending schooling to 18, Nova Scotia would be following the lead of Ontario, New Brunswick, and Nunavut. By 2009-10, chronic absenteeism, assessed in ten different N.S. high schools, was already rampant. With 7.4% of students missing 20% or more of classes and 45% absent for 10% of their classes, was a deeply entrenched problem. Permissive discipline approaches such as the elementary level behaviour modification (PEBS) program and high school exam exemptions had contributed to the problem, so the proposed response was compulsion in the form of compulsory schooling to 18. Extending compulsory school age was ultimately rejected by Education Minister Marilyn More, but a few band-aids were applied, including credit recovery programs and a two-year pilot project to deny course credit for non-attendance with a 20% threshold level. Five years on, student absenteeism was still so rife that it surfaced again as a major unresolved problem. An October 2014 Provincial Review of Nova Scotia Education, with the peculiar title Disrupting the Status Quo, found that “student responsibility” was sadly lacking, reflected in their laxity in attending classes, meeting deadlines, and making a genuine effort to do their best. Such factors, including disruptive students, warranted “stronger consequences than is currently the case in some classrooms.” Under School Climate, the renewed goal was to create learning environments where “respectful behaviour is an expectation for students, teachers, and parents.”(pp. 47 and 49). The NS Education Department’s Action Plan for 2016 promises to introduce “a new student attendance policy.” Another official proclamation is now in the offing. What’s the fundamental cause of rampant student absenteeism and disengagement, particularly in high schools? How important are the major “risk factors” identified by leading American expert Christopher A. Kearney – poverty and socio-economic status, psycho-social and mental health issues, teen pregnancies, school climate, family structure, and parental involvement? In the case of school climate, what works to develop a higher level of student commitment, belonging and connectedness? Will a student attendance crackdown be enough to change the current trajectory? Teaching ‘Stressed-Out’ Kids: Why is the Self-Regulation Movement Spreading? Luke MacDonald, the leading champion of Sparks Fly, is in the business of helping people to get active and healthy. Since 1996, he’s been promoting a series of Youth Run projects and volunteering with Phoenix House as a community outreach dimension of of his own Halifax sports equipment shop, Aerobics First. 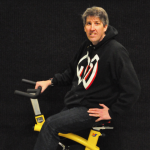 After 34 years in business, he’s now turned to promoting stationary “spin bikes” and “self-regulation” as the way of reaching and re-engaging today’s ‘stressed-out,’ distracted school children. Luke is in the vanguard of the Canadian ‘self-regulation’ movement. Building on the research connecting improved mental concentration with physical exercise, the Run for Life Foundation (www.runforlife.ca) has developed the Sparks Fly program. With the support of private donors, Sparks Fly has placed child-sized spin bicycles into classrooms across Canada, including more than a dozen within the Halifax Regional School Board. Here’s how it works: Students are encouraged to hop on the bike if they are having difficulty focusing on their lessons. The idea is that children learn to identify when they are having difficulties with attention, and then use physical activity as a stimulant to engage the parts of the brain that help with this cognitive skill. At Dalhousie University, a research team is also conducting a study to determine the optimal dose of exercise to promote improved cognitive functioning, focusing on university-age students. 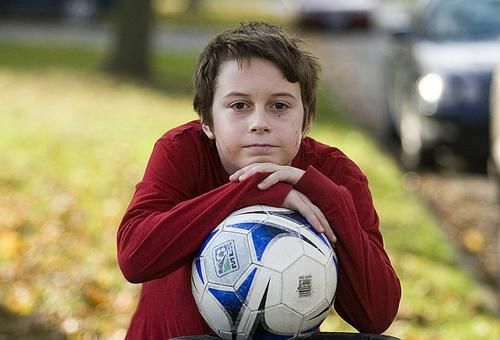 Halifax healthy living activist MacDonald experienced an epiphany, of sports, when he was awakened to its intellectual origins in the ‘self-regulation’ movement. Inspired by a powerful address by York University’s Dr. Stuart Shanker at “The Collision” conference in Waterloo and Dr. John Ratey’s book, The Spark, he was completely hooked on the initiative that attempted to marry physical activity with ‘self-regulation’ principles in elementary schools. 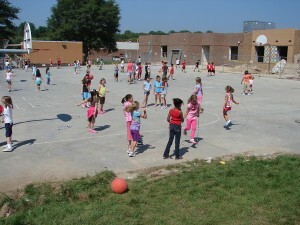 Aerobic fitness is now touted by RunForLife.ca as one of the best ways to develop a child’s ability to self-regulate. In simplest terms, self-regulation is the ability to stay calmly focused and alert. Its research-based origins can be traced back to the famous 1989 “Marshmallow Test” where only 30 per cent of four-year-olds left alone in a room for a few minutes could resist eating the tasty treat. Self-regulation is now being promoted as an educational alternative to “behaviour management” and is increasingly favoured by so-called progressive, child-centred elementary school educators. “Self-regulation,” in Shanker’s words, “does not involve making an effort to inhibit impulses” but rather “to reduce the stressors affecting the nervous system.” It’s so widely accepted by Ontario child psychologists that it’s actually enshrined as “a measurement outcome” on the latest provincial school report cards. Student learning initiatives based upon neuroscience now enjoy a patina of scientific research respectability. Growing numbers of education observers are beginning to question the legitimacy of “self-regulation” in the context of its actual brain research origins. 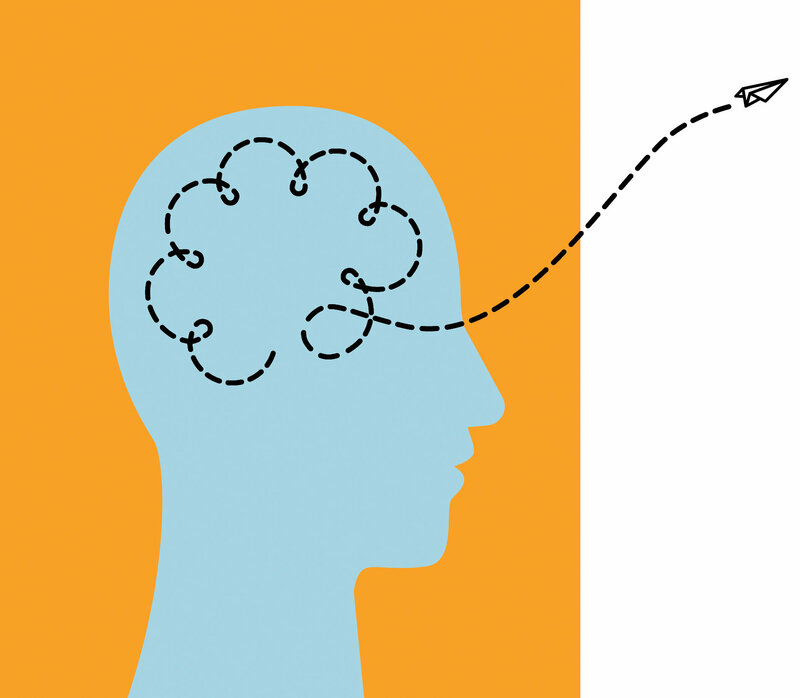 A January 2014 Time Magazine feature, written by Kate Pickert, identified the movement as an outgrowth of what is termed “The Mindful Revolution,” the popular science of “finding focus in a stressed-out, multitasking culture.’ She and a number of North American scholars see self-regulation as a recent mutation of “Mindfulness,” a Stress Reduction curriculum (MBSR) developed in 1979by Jon Kabat-Zinn, an MIT-educated scientist heavily influenced by Buddhism. Much of the rationale for ‘self-regulation’ echoes Kabat-Zinn’s MBSR neuroscience theories and some of its proponents make it sound like a “New Age retread” of previous prescriptions for stress. Mindfulness is definitely rooted in Eastern philosophy, while it is being presented as “secular” in our schools. Dr. Catherine Gidney at Fredericton’s St. Thomas University is currently exploring the historical context surrounding the implementation of mindfulness in Canadian classrooms. In doing so she documents some of pedagogical and spiritual concerns and objections that have been raised about this phenomenon. A few other education scholars have also pointed out the laser-like focus of mindfulness on “the here and now” and its implicit lack of respect for wisdom and learned experience. 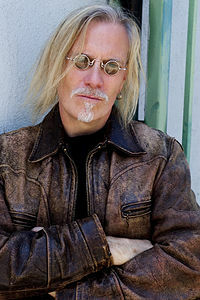 American writer and skeptic Dan Hurley, writing in New York Times Magazine (January 14, 2014), has also pointed out a few of its “unwanted side-effects.” While presented as a virtual cure-all for “split focus’ distractibility, more recent research demonstrates that it sharpens focus , but actually impairs “implict learning,” making it more difficult to ride a bicycle, speak grammatically, or read people’s facial expressions. More concerning, it is being shown to inhibit “mind wandering” and the sort of “mind vacations” that often lead to epiphanies and Big Ideas. Educators are always looking to improve upon current student behaviour management strategies. If Self-Regulation becomes dominant practice, we may succeed in incorporating more physical activity and securing more attentiveness. It’s fair to ask whether we will also be producing more placid kids — sacrificing intellectual risk taking, academic learning time, and perhaps a little creativity in our classrooms. What explains the rise and spread of Self-Regulation as the latest educational panacea for modifying children’s behaviour in the schools? How is the self-regulation movement connected to Eastern philosophy and should that be a matter of concern in essentially sectarian state schools? What impact are Sparks Fly and comparable programs having on teaching and learning in elementary schools? Is there any danger that Self-Regulation may actually curb creativity and historical-mindedness by inculcating “willpower” and stamping out “mind wandering” ? Teacher Stress: If “Class Composition” is the Problem, Is More Money the Answer? The latest Canadian Teachers’ Federation (CTF) survey reveals that public education is in a sorry state and it’s impacting upon teacher effectiveness in the regular classroom. Over 90 per cent of the 8, 096 teachers surveyed online in February and March 2014, identified “class composition” as a source of “work-related stress.” “In general, teachers feel they do not have adequate supports and services to address the broad range of special needs in their classrooms,” CTF President Dianne Woloschuk stated upon release of the ” Work-Life Balance” study. Teachers certainly feel “stressed -out” even though public school enrollment, except in a few high growth school districts, is mostly in decline and more educational tax dollars are being spent to educate fewer school children. Their biggest concern is the changing composition of the regular classroom and, in particular, the constant demands to provide “individualized support” in that classroom for every type of special needs. Given those broad trends, making the case to spend more money to sustain the “all-inclusive” classroom model, especially after Grade 6, is difficult to fathom. -over six out of ten reported challenges in dealing with students’ personal or health-related issues. Special Education services have turned regular classroom teaching into a virtual paperwork ordeal. Lack of time to plan assessments with colleagues was reported as a stressor by 86 per cent of teachers surveyed, while 85 per cent indicated marking and grading as a source of stress. Other stressors include increased administrative-related work and outdated technology. The five policy changes proposed by the CTF all involve pouring more money into the ailing school system. They appear, once again, in predictable fashion: lower class sizes, improve SE supports, expand prep time, reduce non-teaching tasks, and increase teaching resources. None of them, except possibly creating smaller classes, really address the fundamental problem – “class composition” under the current inclusive education regime and the undercurrent of resistance to providing alternative special needs programs and expanding the range of specialized intensive support schools. The CTF is a national political action organization, representing teachers’ unions, and claiming to speak for nearly 200,000 elementary and secondary educators from 17 organizations (15 Members, one Affiliate Member and one Associate Member), from coast to coast to coast. Most of the constituent union groups produce “Teacher Stress” studies on a regular basis, usually in advance of province-wide bargaining sessions. Among regular teachers, especially in junior and senior high schools, inclusive education is widely seen as desirable but next to impossible to implement. It was invented and implemented over the past two decades, but never intended to accommodate the number of children now “coded” or “designated” for special education supports. Even though class sizes have been declining in most provinces, managing let alone teaching those classes has rarely been more of a challenge. A recent report produced by the Ontario funding lobby group, People for Education, is not helpful at all. It’s founder Annie Kidder and core membership support the status quo in the all inclusive classroom, constantly pushing for more money and “more student supports” for every conceivable classroom problem. Appointing a Special Education Ombudsman, as conceived by P4E, would only solidify the existing student supports regime. Teacher stress, real and perhaps embellished for effect, is a legitimate educational workplace issue. Yet the proposed policy changes advanced by Canadian teacher union advocates don’t really address the “elephant in the schoolhouse.” If “class composition” is the heart of the problem why beat around the bush? What’s so sacrosanct about the current Special Education model based upon “inclusion for all” in a one-size-fits all classroom system? It’s time to ask whether inclusive education, implemented as a whole system approach, is either affordable or effective in meeting student needs along the full continuum of service.